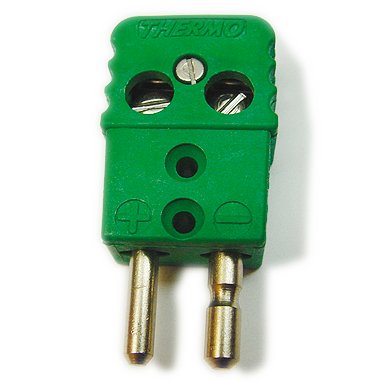 Thermo Sensor is one of the few companies in the world offering a self-developed thermocouple connectors program. 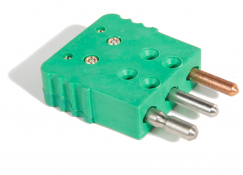 Our connectors can simply connect components with thermocouple material. An easy transfer of measuring signals is safeguarded due to our exclusive use of original thermocouple material. Characterised by different colors the connectors correspond to the national and international standards such as IEC, DIN, ANSI, NFE, BS, NF and JIS. A safe connection is guaranteed by using polarized contacts. Depending on the temperature the connectors are being produced in three different versions. The standard version is applicable for temperatures up to +250 °C, connectors for high temperatures are suitable for temperatures up to +350 °C and the ceramic version is applicable for temperatures up to +650 °C. Thermocouple connectors in standard version are particularly suitable for temperature measurements up to 250 °C. 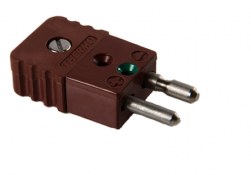 The standard-connector is featured with a securely mounted thermoelement cable and is available in various diameters and isolations (e.g. Kapton or Teflon with or without shielding). 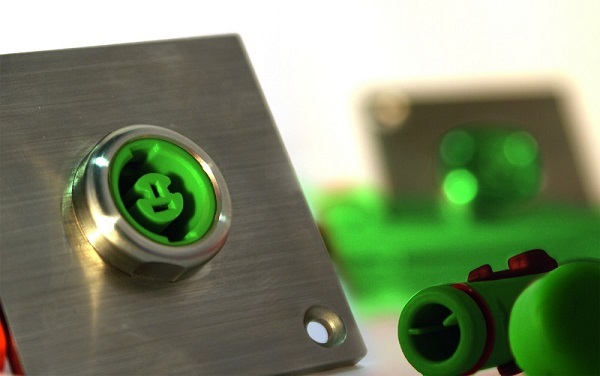 Standard connectors are larger than the miniature connectors and are equipped with undetachable cover screws and massive contacts of different dimensions ensure protection against wrong polarity. 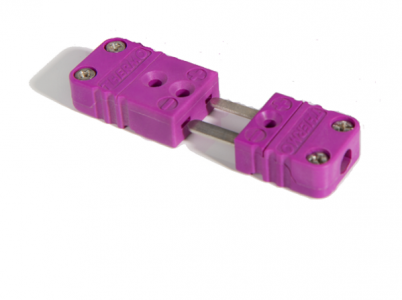 Secure bonding is guaranteed by spring-mounted sockets. Like the miniature design, standards connectors and panel inserts are available in all thermocouple housing material variations and are offered with a wide range of accessories. 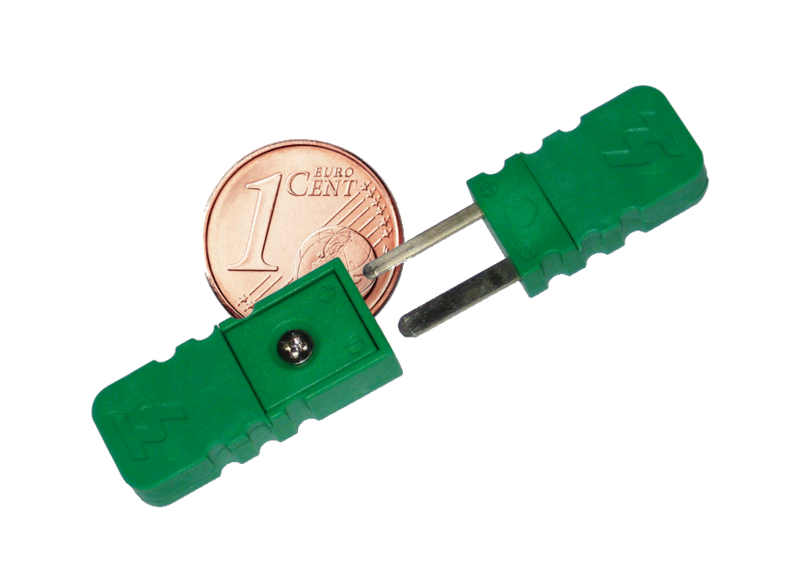 Thermocouple connectors in miniature design are the most commonly used type of thermocouple connectors. 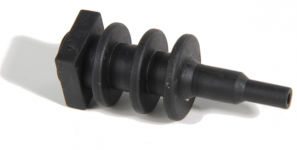 They are particularly suitable for temperature measurements up to 250 °C. Due to their small size they are suitable for many fields of application, for example in laboratories or in motor testing stands. They have different sized contacts to prevent a reverse polarity and spring-loaded jacks to ensure a safe connection. 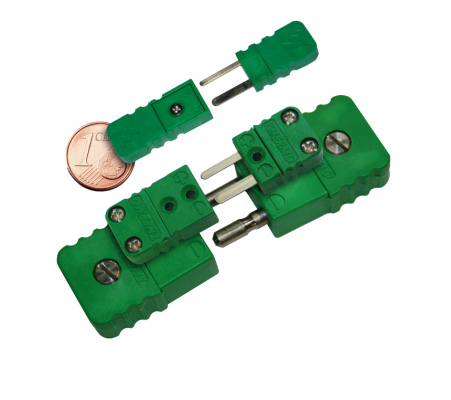 Miniature connectors and panel inserts are available in all thermocouple and housing material variations and are offered with a wide range of accessories. 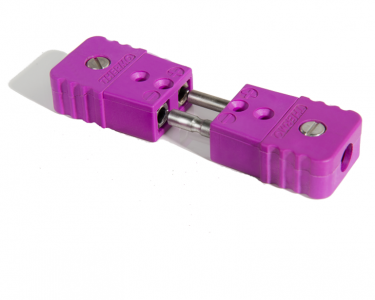 The connector can be featured with a secure mounted cable and is available in various diameters and isolations (e.g. Kapton or Teflon with and without shielding). Pin and socket connectors in micro design are an inhouse development of Thermo Sensor. 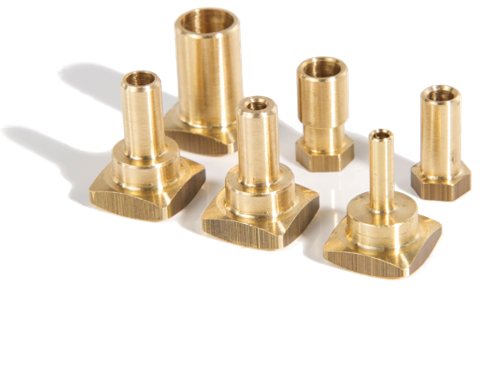 They are the answer to the demands of the automotive industry for a continuous miniaturisation. Due to the growing number of measurement requirements it is an important aspect to utilize the available space when choosing the size of the connectors. Consistent implementation of Thermo Sensor's experience in the development and manufacturing of pin and socket connectors has evolved a construction that has approximately half size of a miniature connector. All contacts and conductor material are made of class 1 thermocouple material. Micro connectors can be hooked up with miniature jacks and panel inserts. Depending on the temperature connectors are produced in various materials. High-temperature connectors can be used for temperatures up to +350 °C. Developed for long-term operations the robust connectors made of ceramic are ideal for temperatures up to +650 °C. 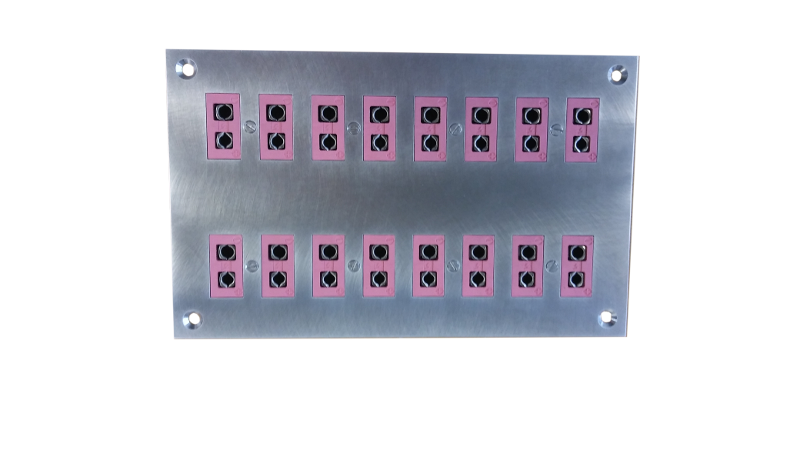 Connector panels are suitable for thermocouple and resistance thermometer measuring circuits for the installation in conrol rooms, consoles, laboratory sectors and switchboards. The panels are reliable and extremely robust as they have to be able to withstand extreme conditions. 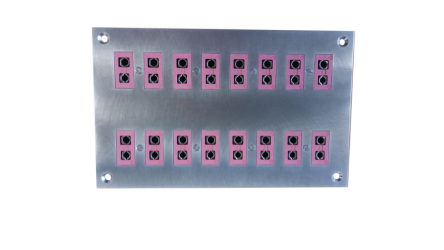 A large number of measuring points can be retrieved by means of the panels. Due to the systems purpose-built design, all components correspond to the protection class IP 67. Furthermore, all contacts and conductor materials are made of class 1 thermocouple material type K, which makes the system especially suitable for temperature measurement. 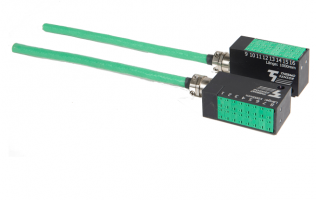 In order to connect several measuring points over a long distance multiple extensions are very frequently used. This is often the case in the automotive industry or in the machine and plant engineering industry. The measuring points are distributed at several points and can be read out at a central location. The housing as well as the number of measuring points can be adapted individually to the customer’s requirements. 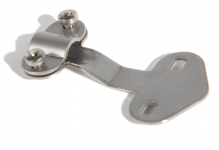 The cable strain relief for standard and miniature-connectors and couplings is made of stainless steel. The bend relief for standard and miniature-connectors and couplings is available in various cable types with different isolations and cross sections and is mainly used as bend protection for thermocouple and connection cables. 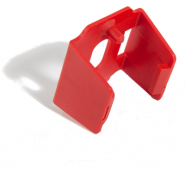 The locking clip for standard and miniature-connectors as well as couplings consists of break and shockproof synthetic material and serves for securing the connectors. protecting cables. This accessory is made of brass.